By submitting the minor’s holiday greeting card, (hereinafter, “Artwork”), to Mississippi Public Broadcasting, (hereinafter, “MPB”), for the 2015 MPB Holiday Card Contest (hereinafter, “Contest”) I, as the legal guardian of minor child, agree to the official and complete contest rules contained herein and below. Theme: Design a card, Artwork, incorporating a holiday theme. Design: Submissions must be no larger than 9” X 12”. Any medium or combination of media may be used, including crayons, line drawings, watercolor, paint, etc. Avoid use of sparkles or glitter. The artwork/card design should celebrate the holiday season and not be specific to any religious celebration or affiliation. For any artwork submitted by mail, print your first and last name along with contact information on the back of the submission. Eligibility. Contest participation is open to children ages 4 – 12, as of October 30, 2015, who are currently domiciled within the state of Mississippi. 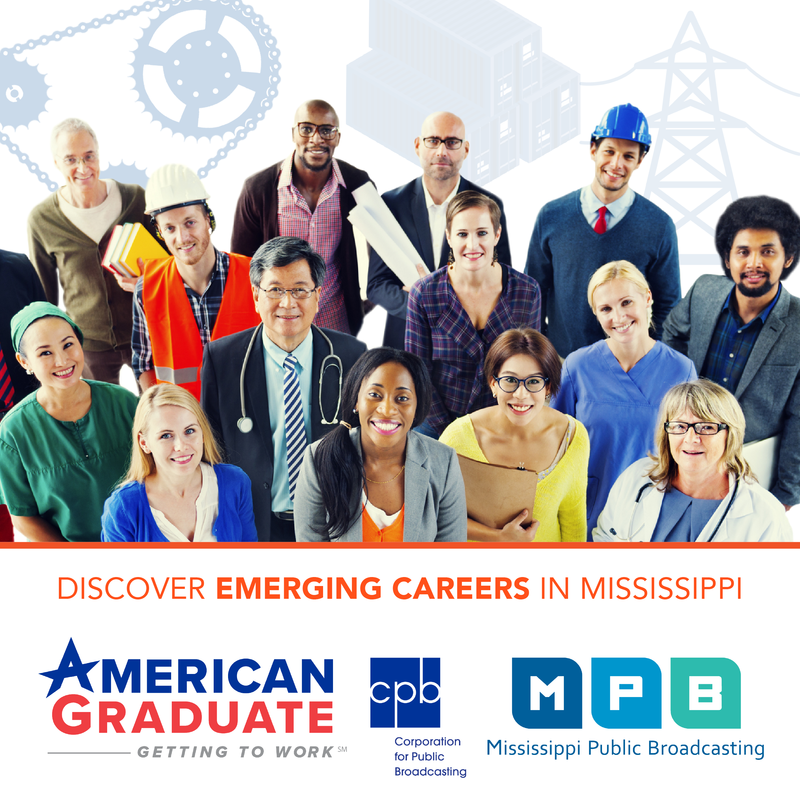 Immediate family members and/or children living within the household of any person currently employed by MPB, the Board of Directors of MPB, The Foundation for Public Broadcasting in Mississippi and/or the Board of Directors for the Foundation for Public Broadcasting in Mississippi are not eligible to participate in this Contest. An immediate family member shall be that of a spouse, parent, child, sibling or any other person residing within the residence of the child. Entries failing to meet this criteria shall be immediately disqualified from judging. Dates of Entry. Artwork will be accepted by MPB between the dates of Monday, August 10, 2015, and ending no later than midnight on Friday, October 30, 2015. To be considered, all Artwork must be officially submitted by either mail or by electronic submission in the manner described below. Entries submitted by mail must be postmarked by October, 30, 2015, or earlier date. Entries postmarked after October 30, 2015, shall not be deemed timely submitted or considered in this contest. kids.club@mpbonline.org. Only the following formats shall be accepted for electronic submissions: pdf, jpeg, gif, or bmp. Selection of Winners and Judging Criteria. Winners will be selected out of the pool of overall entrants to the Contests who properly entered. Winners will be notified via phone and/or email during the month of November 2015. Winners shall be selected by a panel of judges chosen by MPB staff with final decision resting with the Executive Director of MPB. The criteria used in the selection of the winners shall include, but not be limited to, compliance with the guidelines for entry, as stated above, overall creativity, originality, overall design, neatness, and appropriateness. In addition to the prize package, the first place winner will also have the Artwork displayed on the 2015 MPB Holiday Greeting Card. No Compensation. You agree and understand you will not receive compensation of any kind for the submission and/or subsequent use of Artwork, outside of any prize which might be awarded. License/Permission. By submitting your Artwork, you grant to MPB and its designated agents a non-exclusive, irrevocable, royalty-free, and unconditional limited license worldwide in perpetuity to post and to make, have made, use, copy, reproduce, modify, publicly display, import, broadcast, transmit, and otherwise distribute (directly or indirectly), in whole or in part, in any media now known or hereinafter created, in connection with the advertising, promotion and marketing of MPB in any medium whatsoever, in perpetuity, even though you may not be ultimately chosen as a winner in this contest. Original Artwork. You certify the attached entry is original artwork and does not infringe on any copyright, right of privacy, or right of publicity, and that it does not contain any libelous or scandalous material, or legal or moral rights of any third party, living or deceased. You represent and warrant the Artwork is not unlawful and does not contain, facilitate, reference, or use material that is fraudulent, inappropriate, indecent, lewd, pornographic, obscene, hateful, tortious, defamatory, slanderous, or libelous. Artwork Will Not Be Returned. You acknowledge your entry will not be returned regardless of whether or not your Artwork is chosen to win one of the prizes as part of the Contest. Use of Personal Information and Credit. You understand any personal information you provide to MPB is for the purpose of enabling MPB to identify the Artwork and to notify you, if necessary. If the Artwork is used, you will receive proper credit identifying you as the submitter of the Artwork. Limitation of MPB’s Liability. You acknowledge and agree MPB shall not be liable for any loss or damage incurred in connection with the Holiday Card Contest, including delivery or storage of the Artwork. Legal Guardian Status. You warrant you are the Legal Guardian(s) for minor child and/or have permission from the Legal Guardian(s) to submit this entry. You warrant you are an individual(s) over the age of 18 years with full power and valid authority to enter into this agreement and Contest on behalf of Minor. The undersigned further agrees and warrants the above-mentioned Minor, will not disaffirm or disavow this consent and permission on the ground that the Minor was a minor on the date of entry into the Contest or any similar grounds whatsoever, or endeavor to recover from MPB or any of its directors, officers, employees or other associated persons, or through any guardian, any sums for participating in the Contest. No Obligation to Use. You understand MPB is under no obligation to select the Artwork submitted, and you understand MPB is not responsible for the non-selection of the Artwork or any other prospective issues associated with the non-selection of the Artwork. Termination or Change to Contest Rules. MPB reserves the right to terminate or modify this Contest and Contest Rules at any time for any reason. In such circumstances, a winner will be selected based on entries received to date of termination. MPB also reserves the right to modify this Contest in the event of insufficient number of entries are received and/or an insufficient number of entries meet the minimum judging criteria. Agreement. By entering this Contest, you warrant and represent you are free to grant to MPB all rights described in this Contest and possess all rights necessary for the grant of the terms outlined herein. Mississippi Law shall govern this Agreement, and Mississippi shall have sole jurisdiction and venue to resolve disputes related to this Contest.